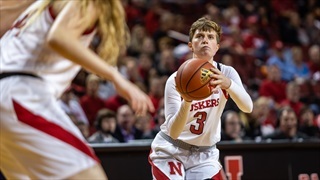 Nebraska wrapped up the opening weekend of conference play with a win. 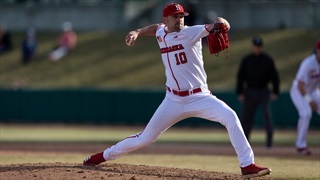 The Huskers completed the sweep of Michigan State with a 6-2 victory on Sunday. 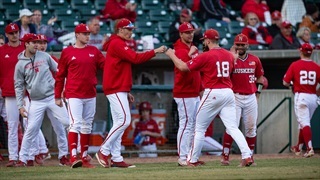 Nebraska (10-7) walked away with a doubleheader sweep on Friday, taking Game 1 by a score of 4-1 and Game 2 by a score of 5-2. 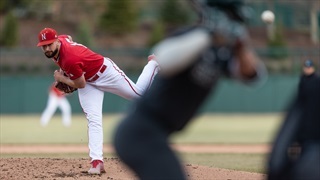 Nebraska opened conference play with a 4-1 win on Friday in the first game of a doubleheader against Michigan State. 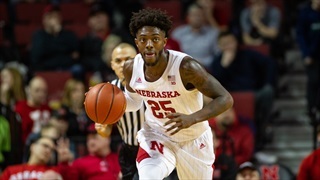 Glynn Watson Jr. was feeling it on Tuesday, putting up arguably his best performance of the season. 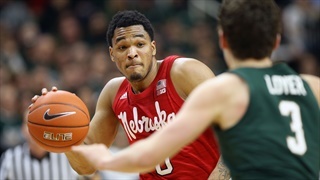 However, the Huskers didn't quite take advantage of that as much as they could have. 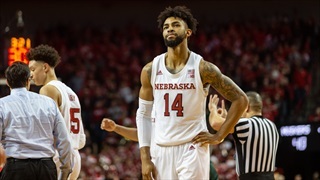 It was another loss — Nebraska’s 13th in its last 17 tries, dropping the record to 15-15 on the season and 5-14 in conference play — but the end result was mostly expected. How they got there, though, was a bit different than in recent weeks. 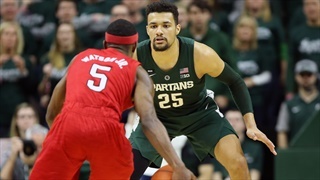 After an 82-53 loss at Michigan, Nebraska will hit the road again for one last time this regular season, traveling to East Lansing to take on No. 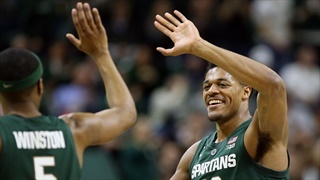 9 Michigan State on Tuesday. 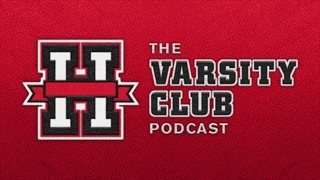 Greg Smith joins the podcast to talk about college football's weird quarterback problem that might not actually be a problem, his story on Husker signee Wandale Robinson in the latest edition of Hail Varsity and Nebrasketball's close loss to Michigan State. Nebraska has struggled mightily on offense against elite defenses this season, something they'll need to address moving forward with a handful more games against those kinds of teams remaining on their schedule. 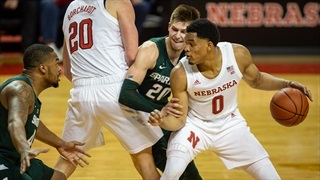 Michigan State used a late run to take control and survive a late Nebraska rally as the Spartans handed the Huskers a 70-64 loss at Pinnacle Bank Arena on Thursday night. 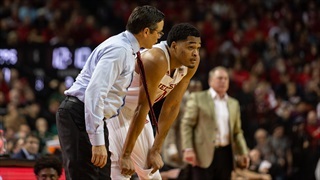 Notable quotes from Nebraska following a 70-64 loss to No. 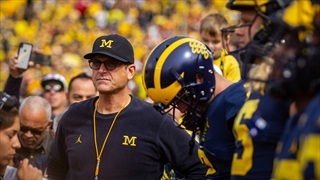 6 Michigan State. 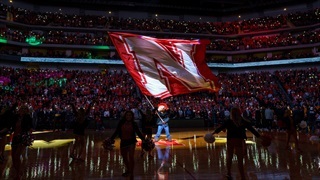 Check out the photos from the Nebraska-Michigan State game by John Peterson. 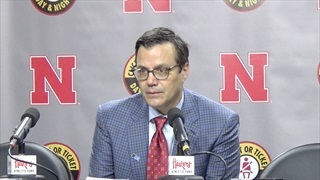 Hear from Tim Miles, along with guards James Palmer Jr. and Glynn Watson Jr. and forward Isaac Copeland, on what went wrong Thursday night during Nebraska's 70-64 loss to Michigan State. 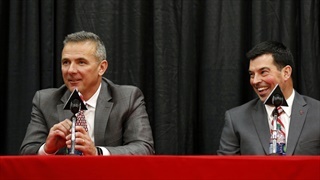 Tim Miles said Nebraska needed to run to the fight against No. 6 Michigan State. 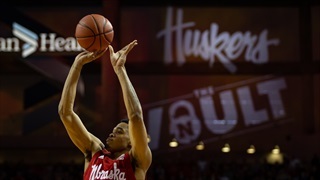 The Huskers did that in a hard-fought loss. 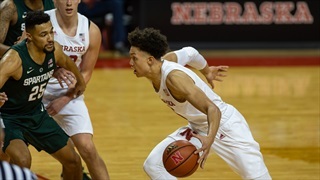 When it comes to facing a tough Michigan State team on Thursday, Nebraska knows the difference from last year is in the details.